Shimadzu has launched its Nexera Ultra High-Performance Liquid Chromatograph (UHPLC) series, incorporating artificial intelligence as Analytical Intelligence, allowing systems to detect and resolve issues automatically. The Nexera series makes lab management simple by integrating IoT and device networking, enabling users to easily review instrument status, optimise resource allocation, and achieve higher throughput. 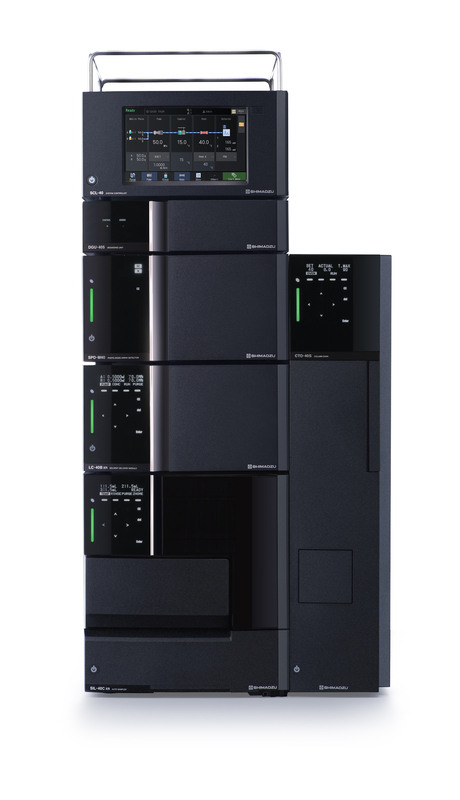 The new series maximises reliability and uptime with fully unattended workflows that span from startup to shut-down. Operators can set the Nexera to start up at a specified time, so that it can complete auto-purge, equilibration, baseline checks and system suitability in advance, and be ready for analysis before they arrive at the lab. In addition, FlowPilot ramps up the flow rate gradually, reducing the possibility of damage to columns. The system also has auto-diagnostics and auto-recovery capabilities that allow it to monitor pressure fluctuations to check for anomalies. Real-time monitoring of mobile phase levels allows lab personnel to efficiently run batches and respond accordingly if there isn’t enough mobile phase before starting a run. In addition, it tracks consumable usage and sends alerts when parts need replacing, allowing users to keep the system running at peak performance. The Nexera UHPLC series allows analysts to confirm parameters and monitor chromatograms in real time directly from a web browser on their smart device. The SIL-40 autosampler can process the injection cycle time in as little as seven seconds, and continuous analysis can be carried out on up to 44 MTPs (using three plate changers). The SIL-40’s plate changers enable non-stop temperature-controlled analysis of thousands of samples. The Nexera automatically blends mobile phases at any set ratio, which speeds up the preparation of buffer solutions and the dilution of solvents. Because it prepares the exact amounts required for analysis, it reduces waste and labour.